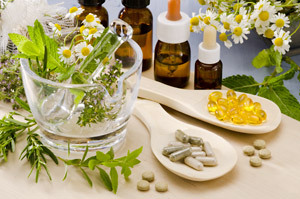 There are many reasons that people have turned to herbal and homeopathic remedies over the years. Whether it is because they cannot afford medical insurance, or they’ve grown to distrust traditional Western medicine through the years, or simply that they wish to use the healthiest and most natural ways to care for themselves, the masses are looking to treat their common ailments with herbs. While it is recommended that doctors be consulted before integrating herbal remedies into a daily regimen or treating a condition, most herbs are self-explanatory, as they give dosage instructions and recommended length of ingestion on the labels. Most importantly, when taking herbs, pay special attention to the body and any signs it gives that a particular treatment is not working; if the body rejects the option, it might be time to try another alternative, even if it is along the Western medicine route. The top herbal remedy, and one of the most well-known in modern society, is the use of aloe vera for burns, whether the minor burns occur as a result of sun exposure or a kitchen accident. The actual aloe vera leaf is the most effective, rather than store-bought products, and the potted plant is simple to maintain with water. The gel from the inside of the leaf eases the pain of the burn and expedites healing. Other very well-known remedies are cranberry juice for bladder infections, and echinacea is a commonly used as a preventative remedy for colds and the flu. Menopause can be one of the roughest times in a woman’s life, but black cohosh has been proven, via a recent German study, that it is one of the most effective treatments for hot flashes. And for those who haven’t reached the menopausal stage but suffer from premenstrual pains, chaste tree has been shown to ease PMS after taken for at least three months. Boswellia, also known as frankincense, is not one of the better known herbs but has been proven effective in treating arthritis pain and joint injuries, as it reduces swelling and pain. Evening primrose oil is often used as an anti-inflammatory for rheumatoid arthritis, as well as the lowering of cholesterol levels. And for bone pain and degeneration that comes with osteoporosis, flaxseed can be a healthy alternative to hormone replacements. Feverfew is also a less commonly known herb but can be helpful in reducing the frequency of migraine headaches. Then there are herbal remedies that are common drinks. Chamomile, most often used in tea, is known to assist digestion by smoothing muscles and calming stomach inflammation. Coffee, on the other hand, is often recognized for its caffeine and included in lists of items to remove from diets, but it can be helpful for quite a few conditions, such as pain relief (by blocking the perception of pain), and as a decongestants for colds, flu, and asthma (by opening bronchial tubes). In addition, the caffeine in coffee is good for athletic stamina, as shown by Korean researchers. Thank you for your post and kind words of encouragement. Positive feedback like yours is what inspires us to continue reaching for even higher standards! I just want to say thank-you for being here. Its nice to have a site to go to for intelligent information! From around 114 BC until 1400 AD, the ‘Silk Road’ was used to trade herbs and spices between Europe and Asia. Europeans imported ginger, cinnamon and other spices, and exported herbs like sage that were much in demand in Asia for their aromatic and medicinal properties. This type of trading led to communication between civilizations that could be said to form the basis of the ‘world culture’ of today. Chinese traditional medicine is still today based mainly on the use of herbs, but in Western culture they did not start to make a serious comeback for any purpose other than cooking until the 1960s and 1970s, when cultural and ecological movements started to consider adopting the best features of pre-industrial society in our post-industrial age. 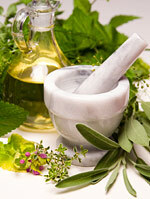 Here's a handy video site for those of you interested in learning more about herbal remedies. This site also includes almost 50 different forms of alternative healing, so there's something for everyone.